ST. GEORGE — Two competing bills regarding vehicle safety inspections were recently introduced in the state Legislature, one asking for more frequent safety inspections and another seeking to eliminate them completely. 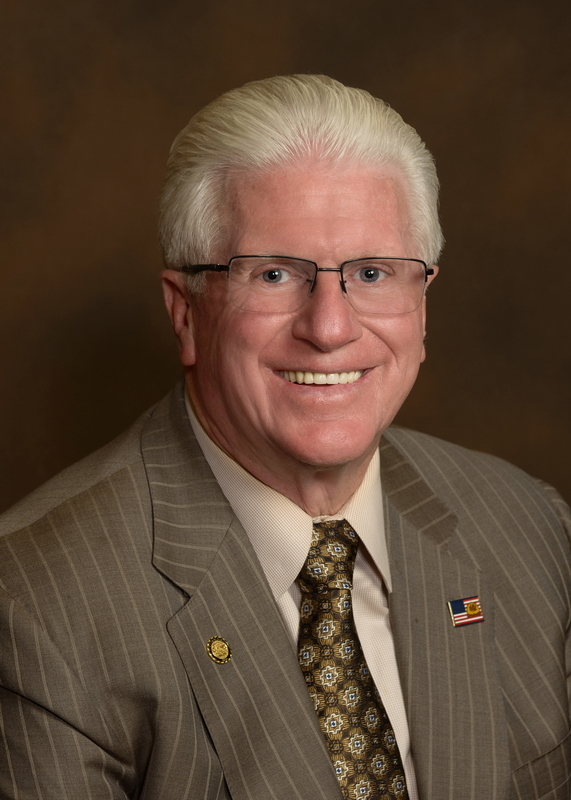 State Sen. Don Ipson, R-District 29 in Southern Utah, is sponsoring “Vehicle Safety Inspection Amendments,” designated as SB 77 1st Substitute, seeking to increase the frequency with which a motor vehicle is required to pass a safety inspection. The bill proposes vehicles be inspected at year six, in addition to inspections at years four, eight and 10, and every year thereafter. “All we’re doing, we’re just adding that six year component to the process,” Ipson said in an interview with St. George News, noting that the amendment simply adds the phrase “sixth year” to the existing law. The revenue estimated to inspection providers accounts for inspection fees paid by the consumer. The analysis does not account for additional fees an inspection provider may gain for parts and services on cars that fail to pass inspection or to resolve other vehicle issues the provider notes during the inspection process. The state’s Department of Public Safety would gain revenue of approximately $1,600 in 2018 and $3,200 ongoing annually in 2019 if Ipson’s bill passes, Wilke noted. The competing “Safety Inspection Amendments” bill, designated HB 265, sponsored in the House by Rep. Daniel McCay, R-District 41, proposes to repeal requirements for certain vehicles to obtain a safety inspection certificate as a condition to registration. A fiscal note was sent to McCay but is yet to be available for public reading. “Safety inspections cost Utah families money and time and recent research show there is no benefit to them,” McCay said. While the bill to repeal safety inspections was only introduced Thursday and has yet to be debated, the bill requiring more frequent inspections passed to the Senate floor with favorable recommendations in a unanimous committee vote. In a committee meeting Jan. 26, members of the Senate Government Operations and Political Subdivisions Standing Committee heard arguments for and against increasing the frequency of safety inspections. “We all believed there is an issue with safety and vehicles, but you know, all it was was anecdotal and stories,” David Spatafore, a representative from Big O Tires and TechnaGlass, said. Both of the companies he represents benefit directly from safety inspection requirements. Spatafore partnered with new and used car dealerships and car repair shops to put together an industry study producing hard numbers in regard to safety inspections. The study involved inspecting for safety all cars that entered repair shops, whether or not they were there to be inspected. Fifty-two percent of the cars were in good working condition, while 48 percent had some kind of safety issue, Spatafore said. “Now what that means is … if our car is safe and we’re driving down the interstate, every other car we saw that day while we were traveling could be unsafe,” Spatafore said. He said 95 percent of the cars that passed through during the course of the study went on to be repaired before their next safety inspection due date. Spatafore said the data from the study indicates that not only should vehicle inspections be maintained but should be conducted more frequently. What we’ve seen throughout the country and in other states and the studies that’ve been done including by the government accountability office, vehicle safety inspections don’t promote vehicle safety in cars and most other states don’t have these programs and don’t see accidents being caused by vehicles in a grand fashion. They usually have the same rates that we do here in Utah. Also in opposition was Heather Williamson of Americans for Prosperity, a conservative political advocacy group. 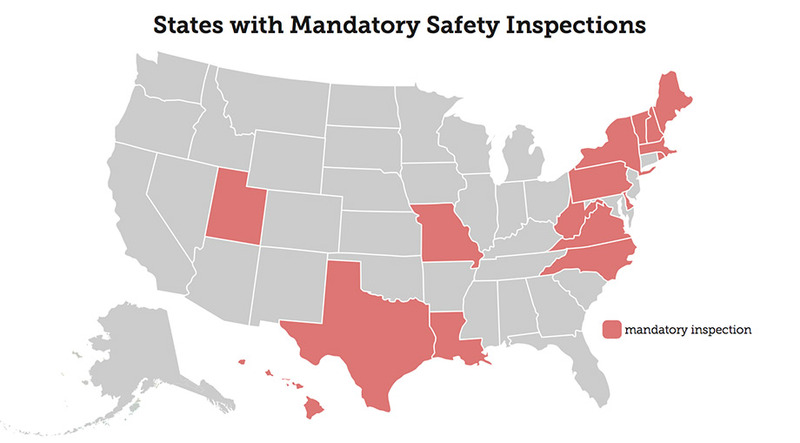 States shaded in red indicate where vehicle safety inspections are mandatory. | Image courtesy of the Libertas Institute, St. George News | Click on image to enlarge. In response, another industry representative, Wayne Jones, executive director of the Used Car Association in Utah, said a survey conducted among several used car dealerships in the state indicated that 60 percent of the problem vehicles that end up on their lots are out-of-state vehicles from states that do not require any kind of safety inspection. Senator Ipson, how about introducing bills that will reduce government, taxes, fees and intrusions into peoples lives? Having lived in both Salt Lake and Summit Counties previously, I can attest to the value of periodic Emissions testing along the Wasatch Front, to get the worst offending particulate polluters off the road. It will not be long before Summit County is required to implement them as well. Washington County appears to suffer from non-vehicle particulate pollution. The Utah State Safety testing is pretty superficial, at best. However, by combining a Safety test with an oil change, the inconvenience is minor, and might catch a few issues before they cause an accident: Inoperable Lights, Poor Brakes, Cracked Windshield, etc….. The objective statistics should be available from the automobile/motorcycle insurance carriers. Why is this being debated? The law is already in place. We need to stop wasting lawmakers’ time on minor issues and start tackling major ones. Any new car after two years may need tires or brakes or have a cracked windshield or burned out lights. Your transportation becomes a weapon against others when it is not properly maintained. Safety checks are super inexpensive ($15) and a whole lot cheaper than paying a mechanic to check your vehicle for safety issues at $60-$100 an hour. With the outrageous cost of new vehicles, more and more people have to keep their car for 10 years or more or buy used. So just quit wasting time in the legislature and find something important to work on… and maybe slamming fines on diesels that pollute the air with black smoke. The inspections are a load of garbage and it would be amazing if it was done away with. The last 2 times I went in they did the inspection in 5 minutes. It was clear they just wanted a quick $15 and had no interest in doing a thorough inspection. Other times they’ve just tried to up-sell me on unneeded bs. Then there are places that will outright try to scam you. Like a broken record I’ll say it again: stay away from all big-o-tire shops in wash county. And why are mormon-republicans always adding new taxes, fees, and bs regulation. It’s all about giveaways to business and saddling middleclass with more taxes and fees. It’s the worst kind of socialism and mormon-republicans are a bunch of hypocrites. Well I’m not Mormon, although a Republican, I don’t have any clue if Ipson or McCay are LDS but to be fare , McCay would rather eliminate the inspections. There you go folks another one of Bob’s meaningless rantings blaming the Mormons again. He had a conspiracy theory on anything that happens is because of the Mormons ! LOL ! There’s a missing year and they’re just trying to fill it in. Seems to me, the only reason you’d object is if you drive an unsafe vehicle. For the most part, inspections serve only as a way for shops to boost sales by preying upon naive customers. I’ve been told time and time again that parts on my vehicle were “out of spec” and needed to be replaced prior to being passed. It’s amazing how quickly things turn around when I ask “what is the manufacturers specification for that part on this particular vehicle?” Suddenly, the parts are magically back in spec and I’m sent along my way for the low fee of $15. Like I said in the past, it’s a total conflict of interest for auto repair shops to be doing the insp. in the first place. It’s in their interest to find things wrong with your vehicle–real or “imagined”. Like putting a fox in charge of the hen house. The idiots of utah gov’t don’t seem able or willing to realize this. Smart man. Often as naught, they’ll stab you for cheap aftermarket parts at a hefty price. A note to consumers not paying attention. Todays cars are not the crap pushed out by Detroit in the 70’s and 80’s. Most cars run fine after 10 years. LOL ! Yeah I’m sure my congressman will drop his golf game to answer my phone call ! I was wondering. What are the insurance companies saying about this? Are our insurance rates less in Utah because we have to have safety inspections?